From 20 February in Gallery 4 at the Centre Pompidou, La Fabrique du Vivant [The Fabric of the living] retraces an archaeology of the living and of artificial life. This group exhibition offers a prospective presentation of the recent work of some fifty designers, in addition to research from scientific laboratories. 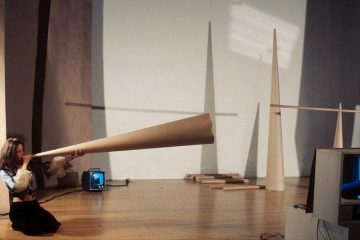 Organised as part of the third edition of the Mutations / Creations cycle, La Fabrique du Vivant, in association with IRCAM, enters into a dialogue with the monographic exhibition devoted to Brazilian artist Erika Verzutti, in Gallery 3. Decidedly forward-looking, Mutations / Creations is the annual creation and innovation laboratory at the Centre Pompidou, exploring the ties between arts, science, engineering and innovation. It brings together artists, engineers, scientists and entrepreneurs, all the stakeholders in the ‘sensitive’ and the ‘intelligible’ which shape and infringe upon our present. Following a first edition in 2017 devoted to design and manufacturing trends in 3D printing, a second edition in 2018 exploring the history of digital code and its artistic appropriation since the 1960s, this third edition examines the living and its protocols of (re) creation. At the crossroads between disciplinary fields, Mutations / Creations 3 summons up visual and digital art, design and speech through a group exhibition, La Fabrique du Vivant [The Fabric of the living], the first European monographic exhibition on Brazilian artist Erika Verzutti, and the third edition of the Vertigo forum, organised by the IRCAM Institute. In the digital era, a new interaction is emerging between creation and the fields of life science, neuroscience and synthetic biology. The focus now lies on matter itself. The notion of ‘living’ takes on a new form of artificiality, somewhere between inertia and momentum. The ‘living’ spans the physical field of matter and the immateriality of the digital world. Biotechnologies are now a medium used by artists, designers or architects. Digital simulation tools now allow us to recreate the living. Between biology and genetics, design takes a cross-disciplinary approach, like a biotechnological artefact where living matter dictates the form. 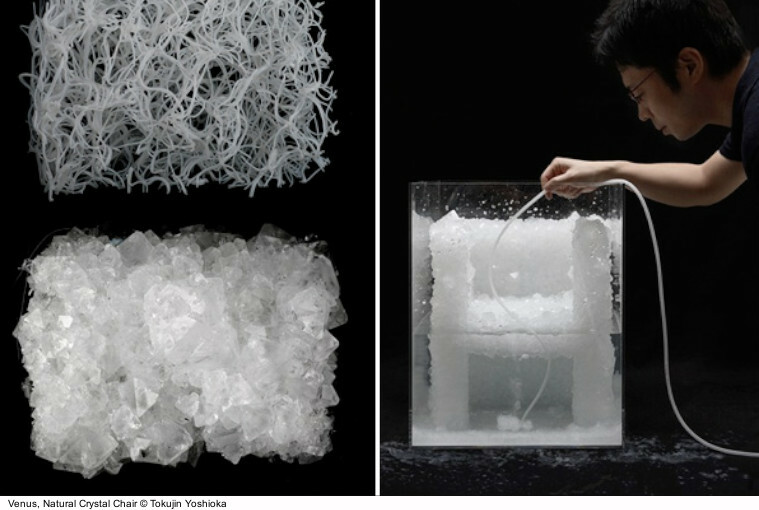 Design now turns to ‘bio-manufacturing’ and new ‘disruptive technologies’ around living matter. Bio-materials, made from organic life (fungus mycelium, laminar algae, bacteria and yeasts, etc.) have led to new sustainable, biodegradable objects. 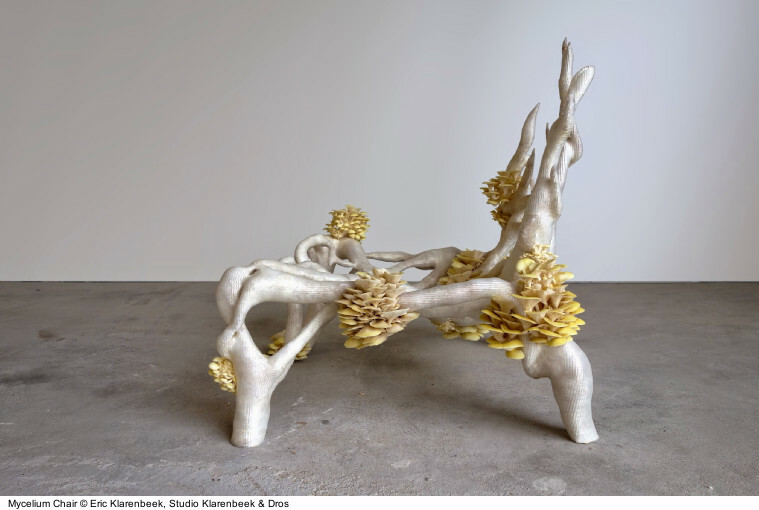 To create an architectural sculpture in situ, specially designed for the exhibition, American artist David Benjamin (The Living) uses a new building method based on fungus mycelium bricks which grow together and are assembled by bio-welding. 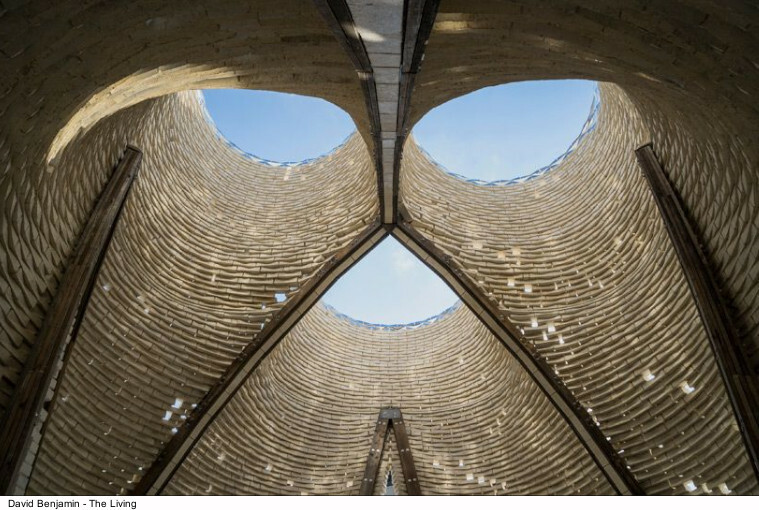 Micro-organisms are transformed into an architectural medium and building material. Studying the behaviour of life (animals or plants) leads to innovative architectural design producing new forms of nature, between the digital ecosystem and living systems. 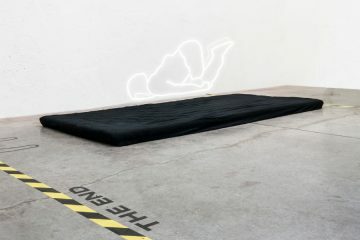 Artists question the links between the living and the artificial, as well as the processes of artificial recreation of life; the manipulation of chemical procedures on living matter; self generating works with ever-changing forms; hybrid works of organic matter and industrial material, or the hybridisation of human and plant cells. 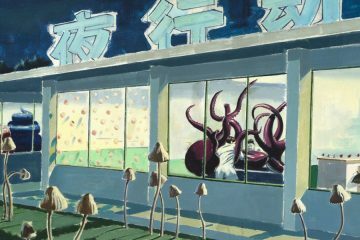 In this era of digital technologies, artists draw on the world of biology, developing new social and political environments based on the issue of the living. Some one hundred projects will be on show, including several created especially for the exhibition. 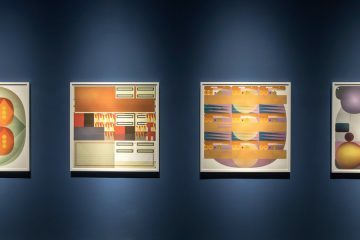 The very matter of this exhibition is changing, as certain works undergo a process of growth or decay. IRCAM presents the Biotope installation by composer Jean-Luc Hervé, which fits into the exhibition tour like a living organism. 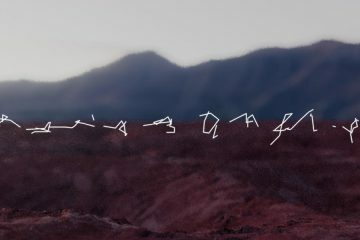 Artists, designers and architects of the exhibition include: Shamees Aden; Laure Albin Guillot; François Azambourg; Heather Barnett; Sonja Baümel and Manuel Selg; Hicham Berrada; Burton Nitta (Michael Burton and Michiko Nitta); Julian Charrière; Natsai Audrey Chieza; Amy Congdon; The Disease Biophysics Group of the Harvard University; Alexandra Daisy Ginsberg; Guillian Graves (Big Bang Project); Andreas Greiner; Ernst Haeckel; Perry Hall; Eduardo Kac; Amy Karle; MIT Media Lab (Cindy Hsin-Liu Kao); Officina Corpuscoli; Neri Oxman & The Mediated Matter Group, MIT; Claudia Pasquero and Marco Poletto (EcoLogicStudio); Pamela Rosenkranz; Daan Roosegaarde; Studio Formafantasma; The Tissue Culture & Art Project (Oron Catts & Ionat Zurr); Elaine Whittaker and many more.